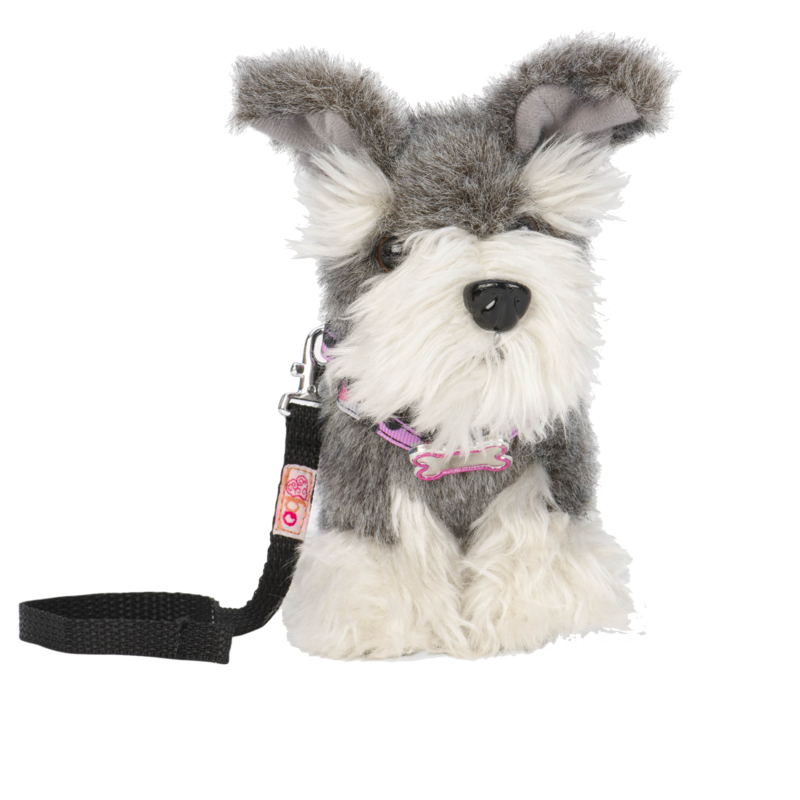 This cuddly 6-inch toy dog is the perfect furry friend for your 18-inch dolls! OG Kids and OG Pups are Best Friends Forever! 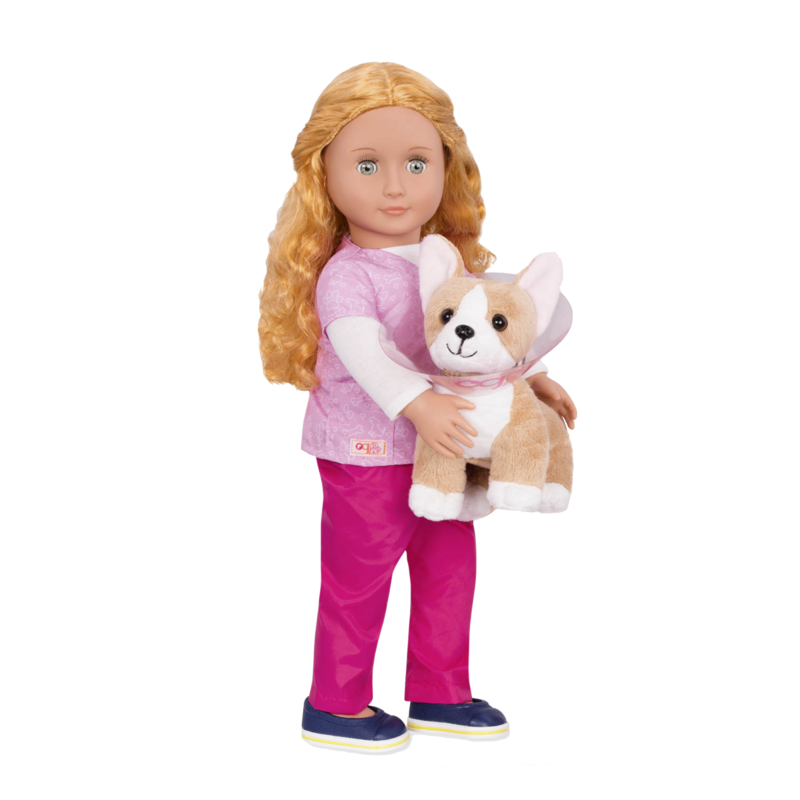 Our Generation girls know that puppies are a girl’s best friend, and the 6-inch Our Generation Posable Corgi Pup is no exception! Because there has never been a generation of kids like us. 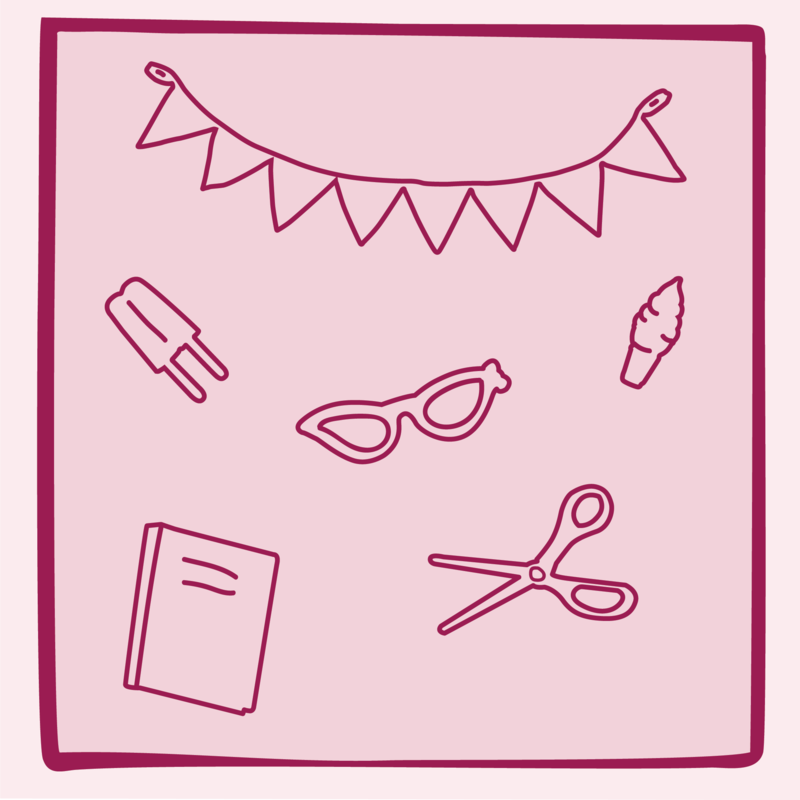 Whether we’re washing cars to support animal shelters, writing letters to help save polar bears, or reminding our parents to recycle their newspapers, we’ve proven ourselves both smart and full of heart. This is our time. This is our story. Tails will wag with joy when you adopt this Pup! This pet for 18-inch dolls is waiting to be adopted into a loving home with a caring doll as a friend, and makes a great gift for kids who love dogs! The Corgi has soft tan fur with a white patch on its belly and white “socks” on its paws. 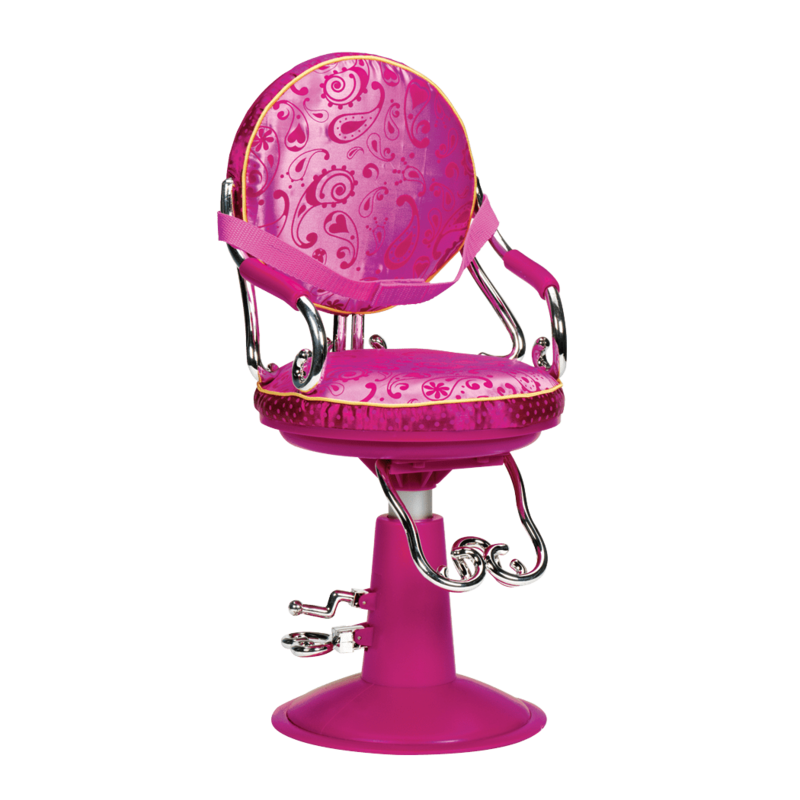 It comes with its very own leash and a woven collar in a stylish plaid! 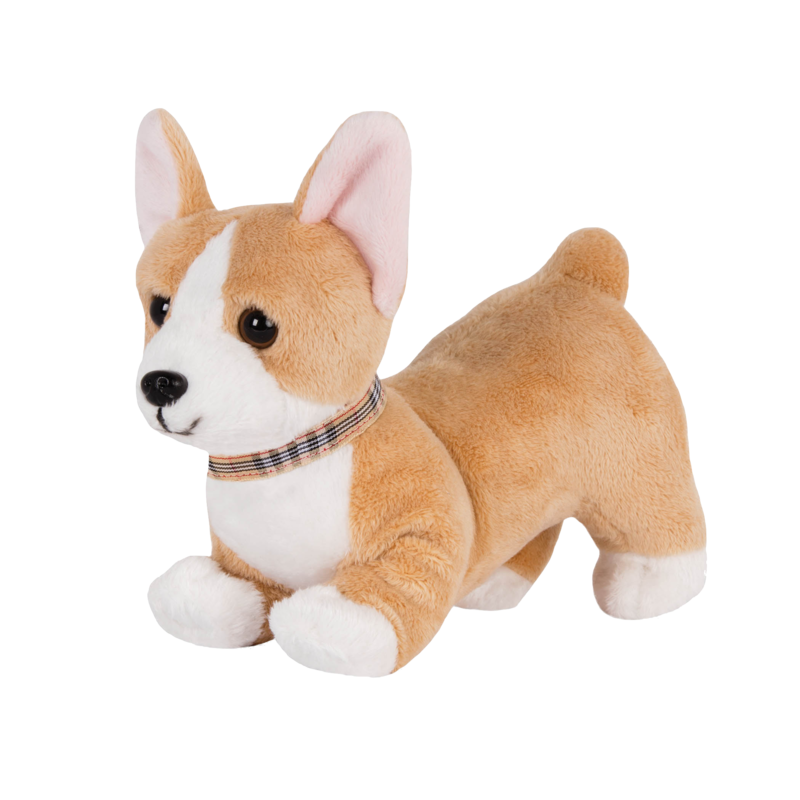 The Corgi Pup is posable, and can move its legs so that it can lie down, shake a paw, and lots of other poses! What kind of new tricks will your Corgi Pup learn today? Your dolls will have a great time taking this Pup on lots of adventures! 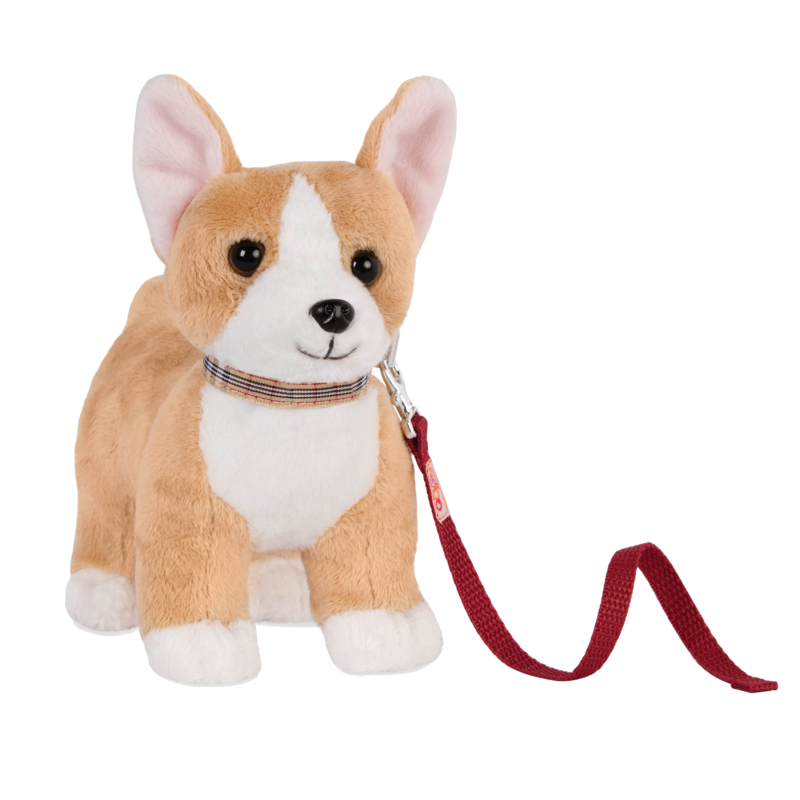 Have you met Anais, the doll in the photos with the Posable Corgi Pup? She is a talented and determined veterinarian doll who absolutely loves animals! She would really love to have a Corgi Pup of her own! Pups aren’t just cute and cuddly – they make great adventure partners, too! Take your Posable Corgi Pup for a ride with the Ride Along Scooter, a cool scooter vehicle for dolls with a detachable side car and driving goggles so your Pup can come along! 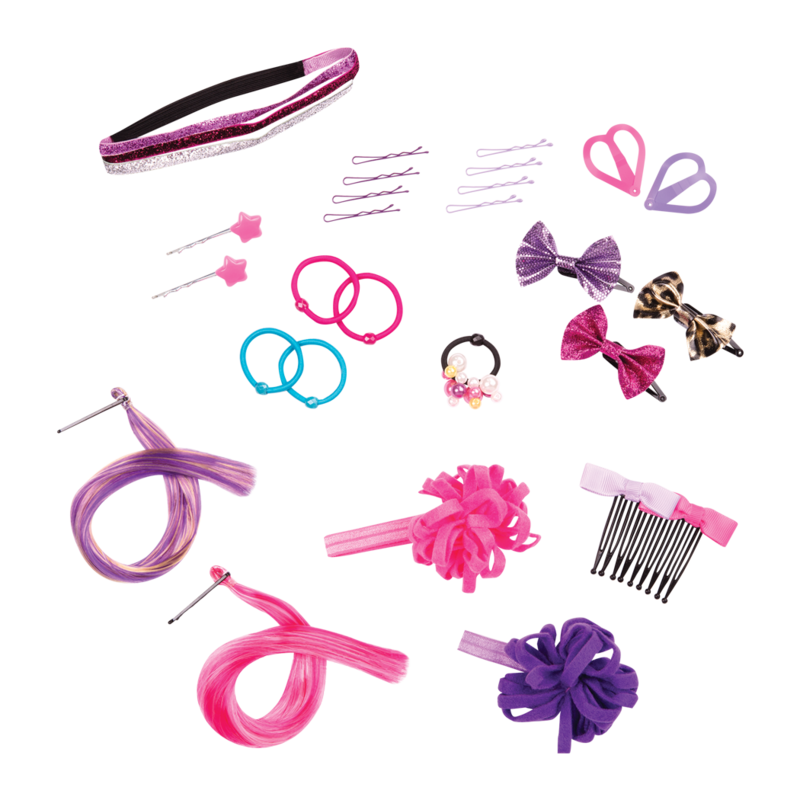 To help take super good care of your Schnauzer Pup, check out the Pet Care Playset, a complete accessory set for Our Generation cats that includes a bed, grooming tools, and toys for your Pup! Your Our Generation Loyal Pals has a cuddly, soft body that should not get wet. Pretend swimming is ok! But please do not submerse your doll pet in water. OG Loyal Pals love pretending to play outside, but please make sure not to let your doll sit in the sun for too long…exposure to heat of any kind can cause serious harm to your toy!